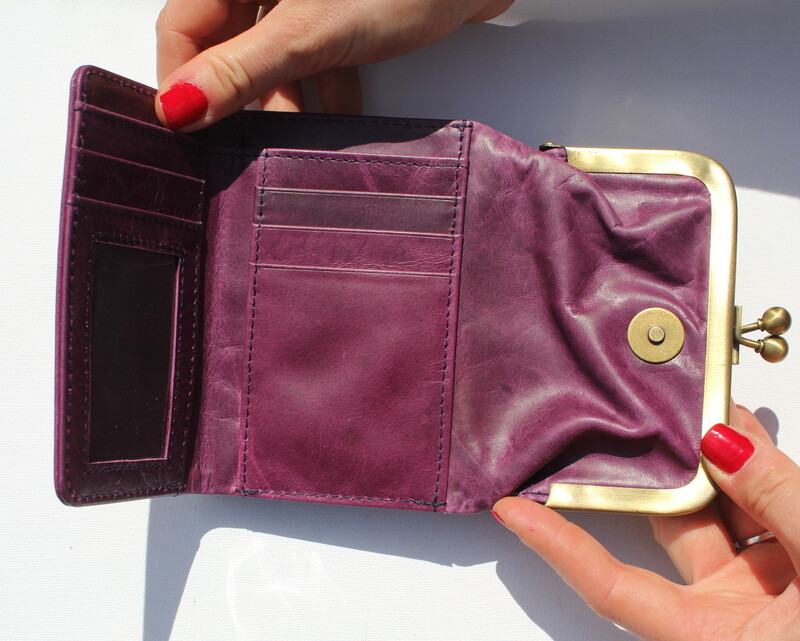 Kiss Clip purse wallet in purple leather. 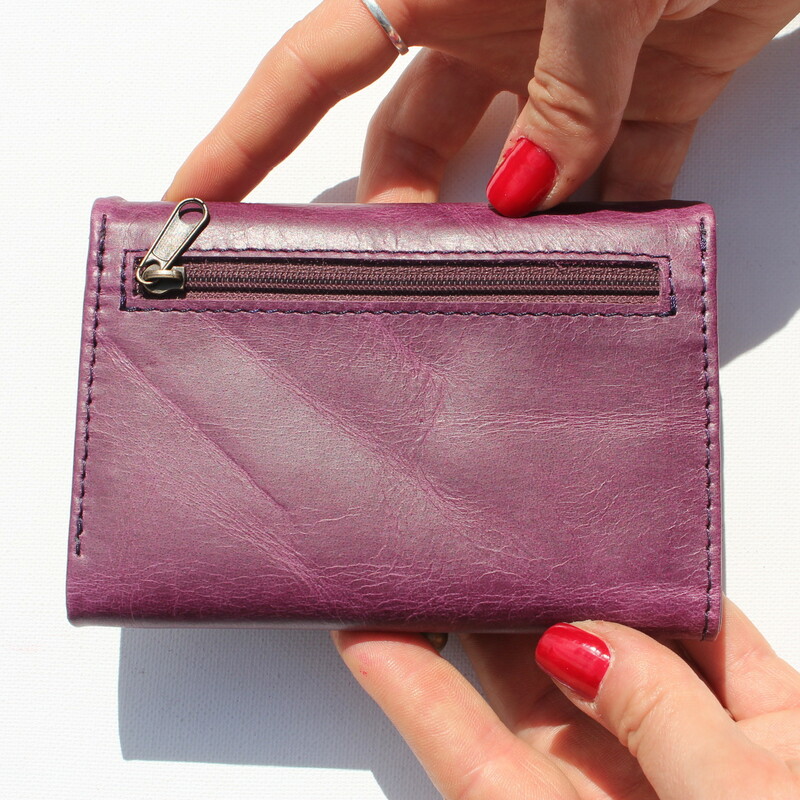 Evanna leather clipframe wallet with credit card and note spaces and generous coin section. 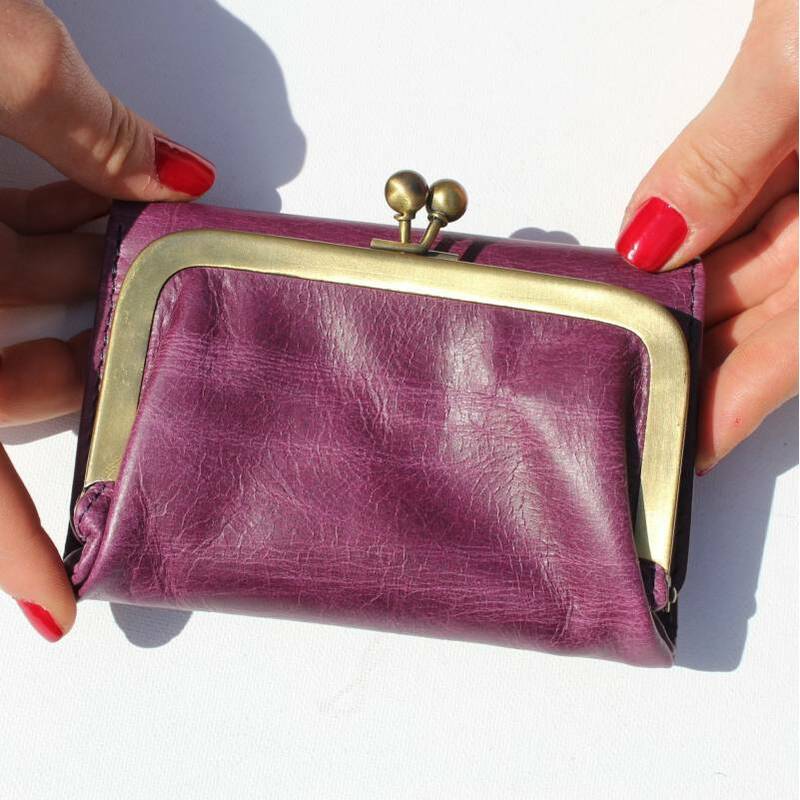 The purse is 13x9cms and fully extended out is 26cms. The back zip is 11cms wide. It has 7 card spaces and one large note section.